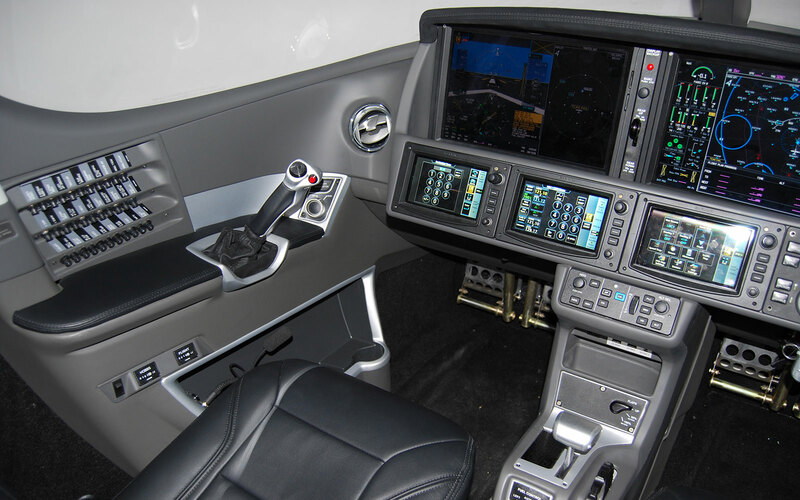 We have available a Frasca Beechcraft B200 FNPTII MCC device with 3 Channel Projection Visuals. Operated in one location from new. Standard Gauges with a fully integrated avionics system. Further details available upon request with options for finance if required. 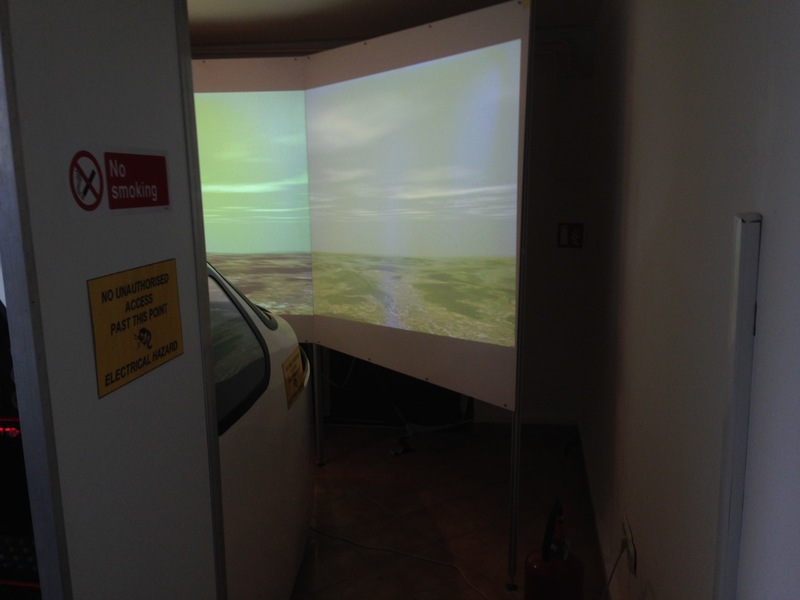 Our very own designed Cessna Citation Mustang Simulator. - Working trim wheel with working indicator. -Engine pull handles for engine shutdown and engine start. - Independent thrust levers and mechanical detents. - Lever handle side switches for speed brakes and GA switches. - 3 position flap lever with push down activation as the real aircraft. - All alluminium construction and procedure trainer quality. So much more affordable than others with the full Garmin G1000 Trainer System built in. 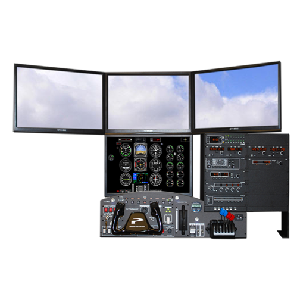 Alsim AL200 DA42 EASA Approved FNPT II Professional Flight Simulator For Sale. This device has been professionally maintained to the highest standards. Less than 1300 Tacho Hours. Can be re-located anywhere worldwide and also recertified and approved for current use. It is currently in stock based at our workshops in Norfolk. Guaranteed quick turnaround for an urgent delivery if required. Alsims AL42 is designed to stick to reality and comply with IR requirements. 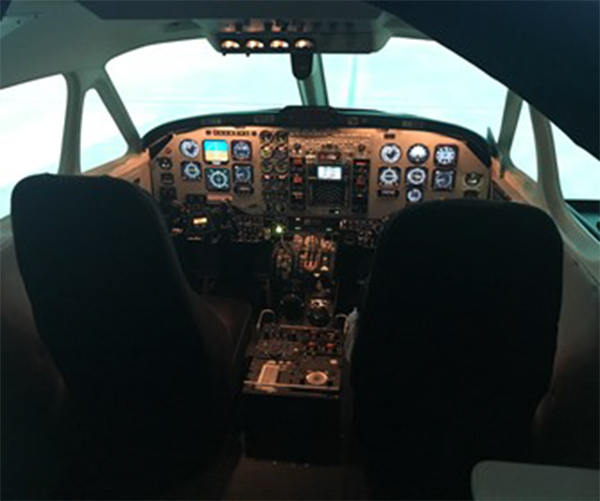 This trainer is an exact copy of the aircraft and enables students to become familiar with Diamond DA42 behaviour patterns, procedures & systems. Thanks to an easy access to all technical and visual data, the instructor can oversee the whole training course. 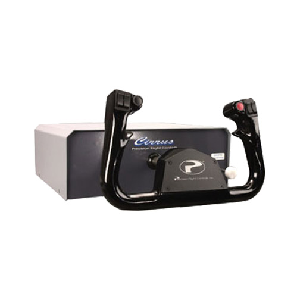 This exciting new range of flight training devices from CKAS Mechatronics revolutionises the industry standards of commercial flight training. These units offer incredible fidelity at sensational value, replicating either generic categories of aircraft, or specific types. These units are not simply part task trainers - they can be used effectively to teach a person how to fly, under normal and emergency conditions. The CKAS MotionSim units must be experienced to be understood fully. 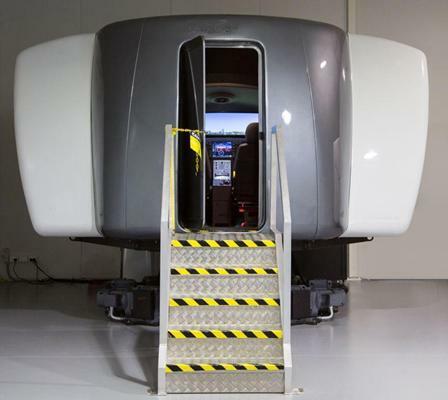 Below is an example of a CKAS 6DOF MotionSim3 Generic unit delivered to one of Australia's leading aviation training companies. 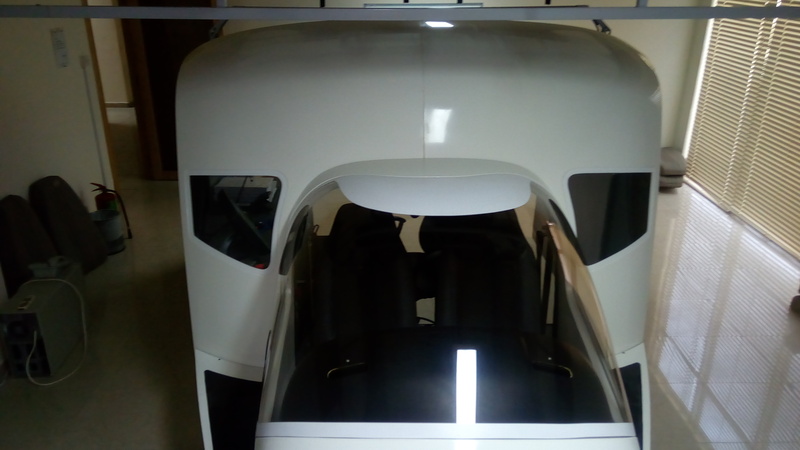 Below is an example of the far more serious and larger 4 seater 200° visual field of view MotionSim5 unit delivered to another leading Australian aviation academy. MotionSim5 - 4 seater configuration with Triple Seamless Projection Visual System covering 200o Horizontal x 40o Vertical External Visual Scene. 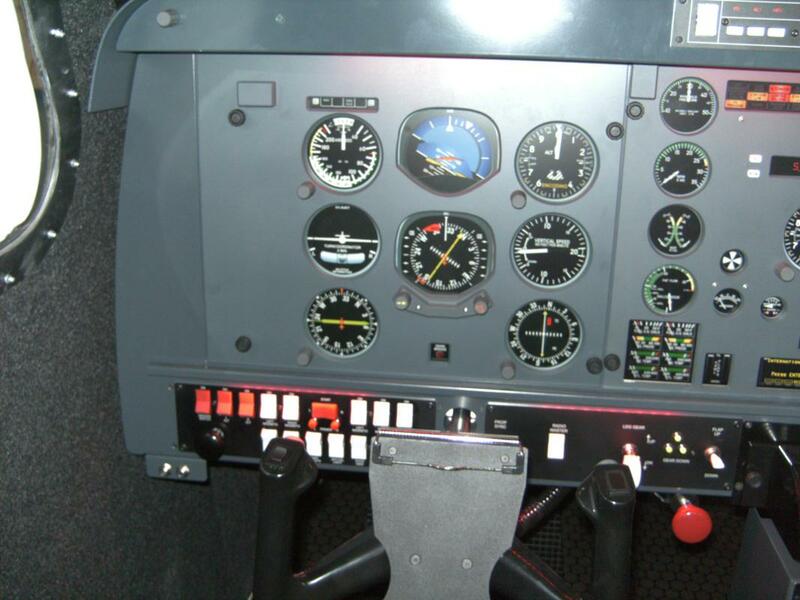 These units are most appropriate for all types of aircraft from single piston to multi engine jet transport aircraft where single or multi pilot training is carried out with the instructor seated behind the pilots along with an observer. 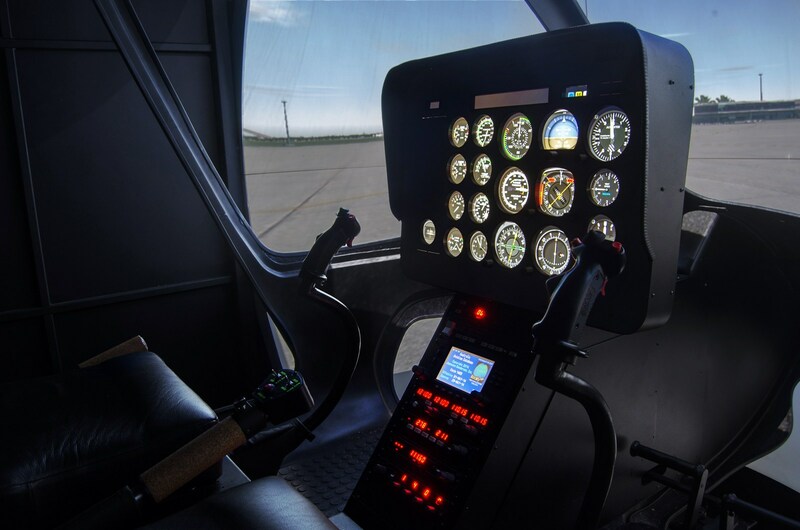 Due to the nature of the Visual and Motion System, these units can be approved for visual circuit procedures including a full Multi Engine Instrument Rating Renewal. 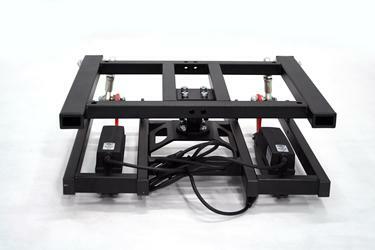 All our MotionSim units can be mounted on a 6DOF Motion System. Either the CKAS W10 or W25 6DOF Motion Systems can be used for 6DOF applications (required for any extra credits). No Motion - Not recommended for this high a fidelity flight training device. Motion could possibly be added at a later date. No extra credits available to training device. CKAS W10 6DOF Motion System - Full 6 Degree of Freedom (6DOF) Motion System. This motion system is required for extra Aeronautical Credits on the MotionSim3 devices. CKAS W25 6DOF Motion System - Full 6 Degree of Freedom (6DOF) Motion System. 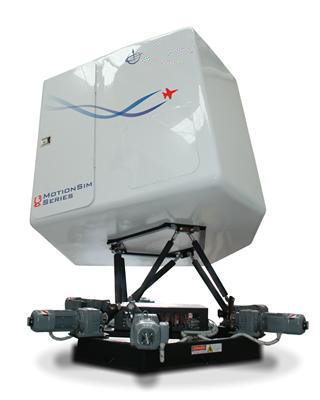 This motion system is required for extra Aeronautical Credits on the MotionSim5 devices. YokeLDR - Single or Dual Dash Yoke, as found in most GA aircraft. ColumnLDR - Single or Dual Control Column, as found in many larger turboprops and pure jets. Further to this, all our simulation devices also come equiped with our high force PedalLDR Rudder Pedal units for very high fidelity on the runway and in critical emergencies. 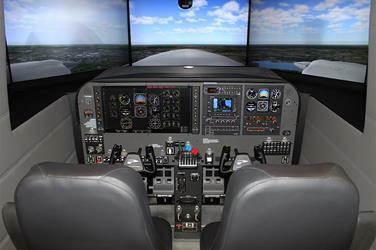 The cockpit configuration is obviously one of the most critical components of any flight training device. 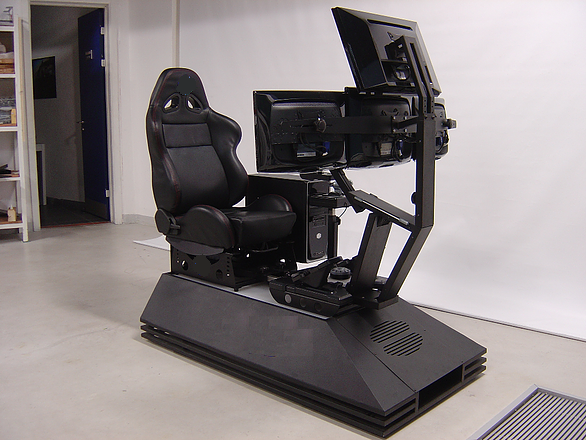 At CKAS Mechatronics, we are not limited in any way as to what cockpit components we can install on a simulator, simply because it is more often than not, that we manufacture all our cockpit instruments in house. Since every component is engineered fully in house, we have the capability to manufacture any specific gauge, instrument or device. Alternatively, we have some standard off the shelf offerings for our generic MotionSim units, which have all the required instruments to meet fully the CASA Cat B, FAA Level 3 or JAA Generic Categories. 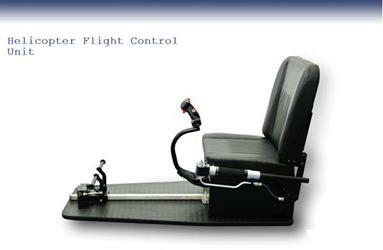 These offer by far the most cost effective alternatives for all three class of aircraft offered in the MotionSim range. Generic Twin Engine Piston - Conventional or Glass Type Instruments, 150 - 180kt flight model. Perfectly suited to beginner multi engine training for normal and emergency conditions. Ideally suited to smaller training schools. Generic Twin Engine Turboprop - Conventional or Glass Type Instruments, 240kt flight model. Perfectly suited to advanced multi engine training for normal and emergency conditions. Ideally suited to larger training schools and aviation colleges who wish to provide a much better student to Airline clients. These units are the first place a serious student should begin to learn about "building capacity as a pilot". These devices can reproduce very realistic emergency situations in a cockpit, allowing students to be overloaded in simulated safe conditions at airspeeds of 240Kt, in a full motion Airline style simulator. Generic Twin Engine Pure Jet - Conventional or Glass Type Instruments 400 - 450kt flight model. Perfectly suited to Highly Advanced multi engine training for normal and emergency conditions. Ideally suited to larger serious aviation colleges and smaller regional airlines who want to build very high capacity in thier students/pilots. These units are perfect when a Full Flight Simulator is completely out of the question due to cost. 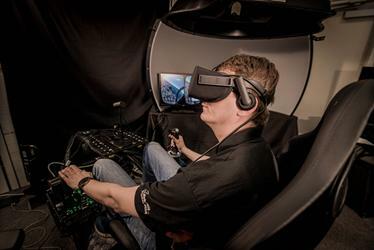 These devices can reproduce very realistic emergency situations in a cockpit, allowing students to be overloaded in simulated safe conditions at airspeeds of 450Kt, in a full motion Airline style simulator. Type Specific - Any of the above units tailored to a particular type of aircraft, for the highest fidelity training. It should be noted however, that in general, creating a specific type cockpit can be quite costly (in particular for obscure aircraft), and as such, should really only be considered by airlines, charter operators or specific task operators (eg emergency services / military). These units are excellent for recurrence training in a particular type. 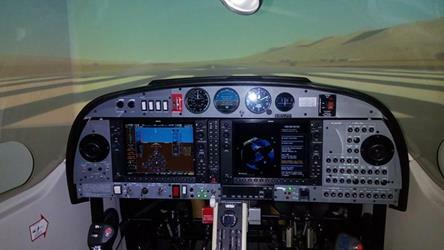 Clearly, many different configurations are available in the MotionSim range, and therefore all quoting is performed on a case by case basis - it should be noted however, that CKAS is committed to all aspects of flight training from general aviation to airline training, and the value of our MotionSim range is truly cost performance curve changing technology. 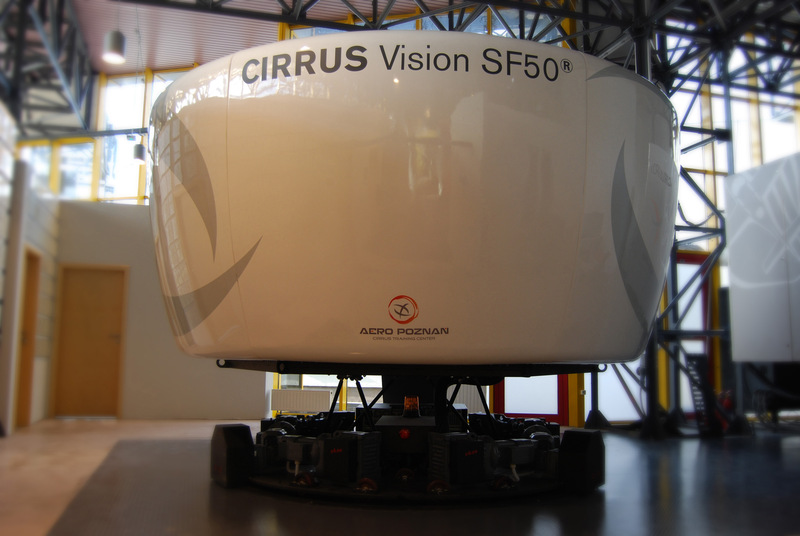 The only Vision SF50 simulator in the world, ours is certified for both Vision introductory experiences and recurrent training. Nowhere else can you prepare for your Vision at this level of detail and accuracy without access to the aircraft itself. 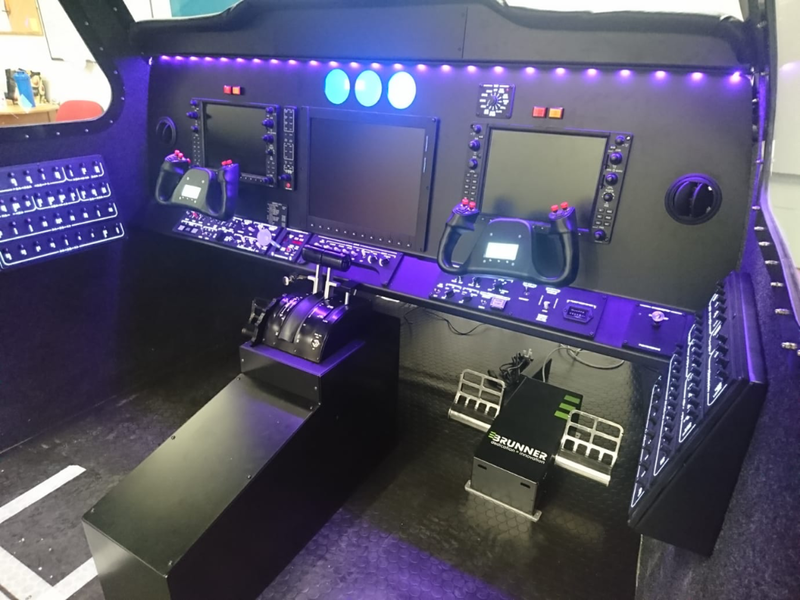 Designed and built in Melbourne, Australia, our simulator is equipped with the exact cutting edge, Garmin 3000 avionics found in the Vision. While similar to our SR2x simulators highly effective six degrees of freedom, its even more exciting. 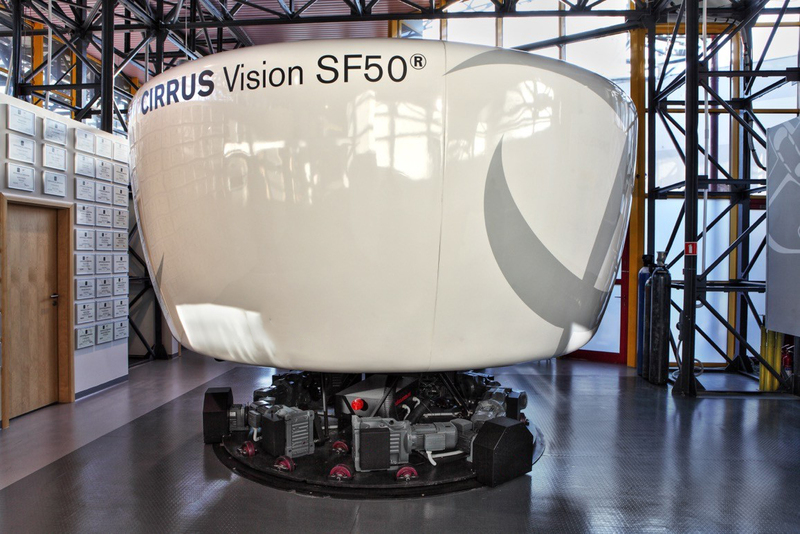 With a full 360 degrees of rotation its one of the most advanced full motion simulators in the world. Internally it has air conditioning, an instructor station similar to big airline simulators and 200 x 40 degrees projected visuals. There is simply nothing else like it, anywhere. 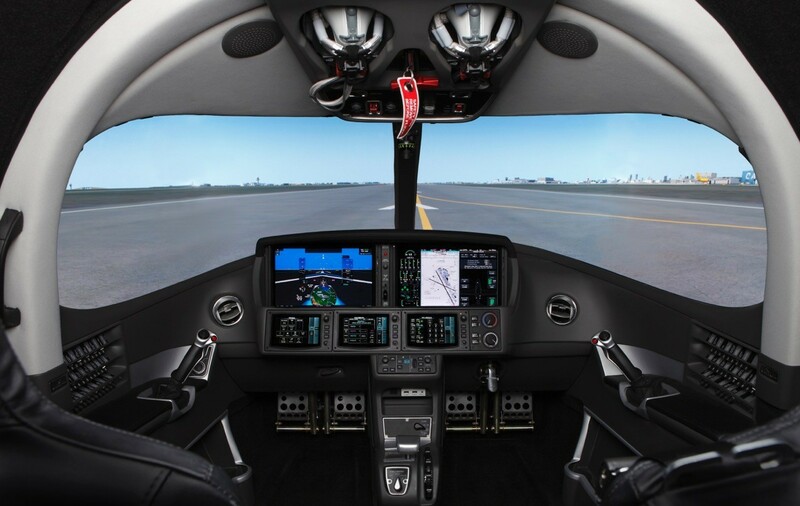 In this exact copy of a Cirrus cockpit you will experience six degrees of freedom around visual screens that simulate unlimited weather and environmental scenarios creating a realistic flight experience. 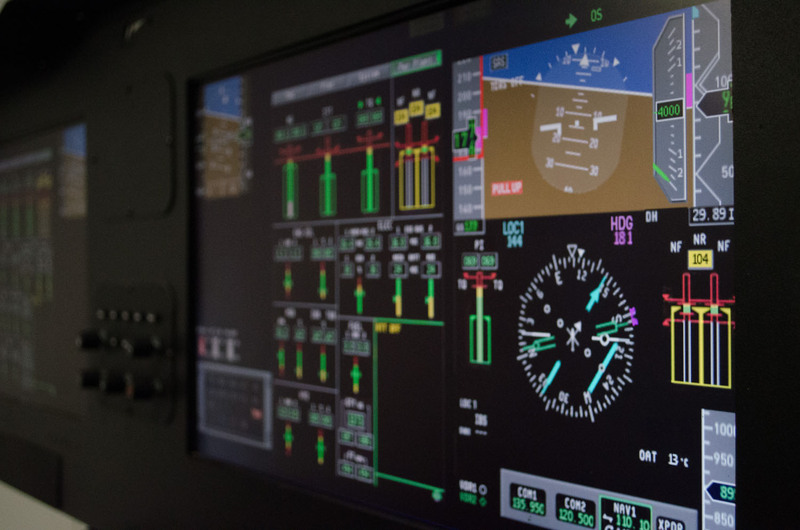 Established in 1990, Precision Flight Controls, Inc. is recognized as a global leader in providing flight training organizations with affordable, high-fidelity, flight simulation components and systems. PFCs systems simulate dozens of general aviation and commercial aircraft as well as todays most popular technically advanced aircraft. 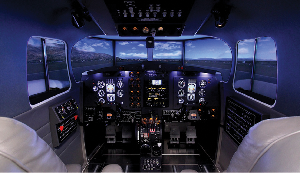 PFC has supplied flight simulation components to many aviation industry leaders such as Northrop Grumman, Lockheed Martin, Rockwell Collins, General Dynamics, Honeywell and Boeing. PFC systems are approved by regulatory agencies around the world and are utilized in hundreds of aviation and educational facilities on every continent including such prestigious organizations as the U.S. Navy, U.S. Air Force, U.S. State Department, the FBI, the FAA, the European Space Agency and NASA. 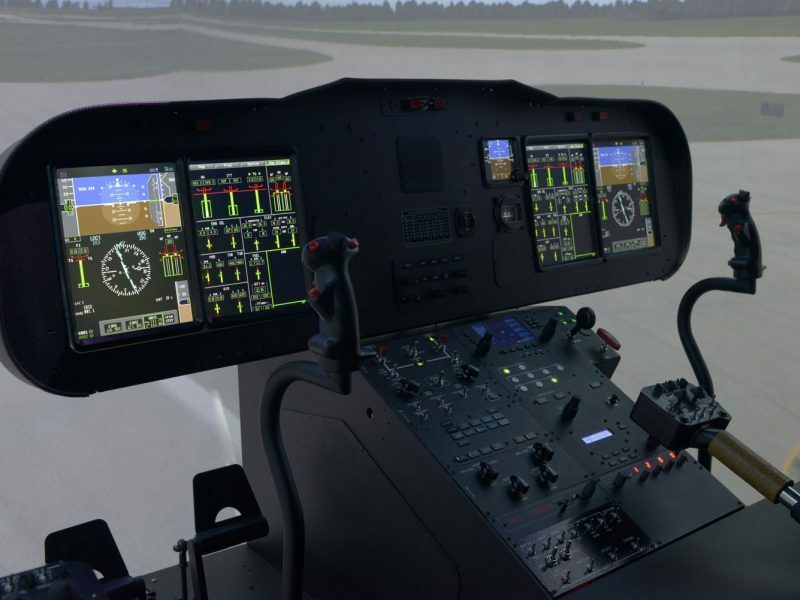 We now offer a very wide range of Helicopter Simulators, including the Augusta Westland AW139 Dual Pilot Cockpit Simulator, Airbus AS350 Single Pilot & Dual Pilot Cockpit Simulators, Bell Jetranger B205, Bell B412 Basics and the Bell B412 EPi. 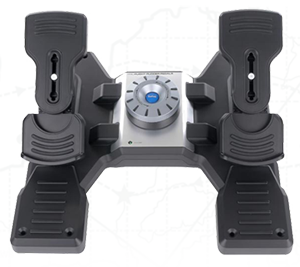 Our very latest product to join our successful range of simulators for Universities, Colleges and Schools. 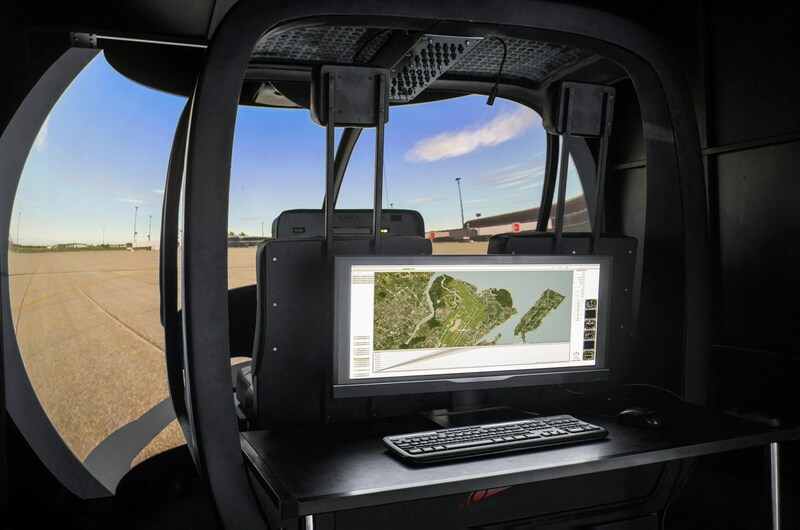 It is so versatile that it can be used for Flight Training or Driver Training too. As an Engineering Simulator, our Professional Software integrates very easily with Matlab®, one of the most popular design software used extensively in Universities, to send realtime data from the simulator. Millions of Engineers and Scientists Trust MATLAB. MATLAB combines a desktop environment tuned for interative analysis and design processes with a programming language that expresses matrix and array mathematics directly. Offering a wide choice of Visual Sceneryt screen options to include Single LED Monitor, Triple Monitor, Small Cylindrical Projection Screen and large Dome Projection Screen. Integrate with Model-Based Design. MATLAB works with Simulink to support Model-Based Design, which is used for multidomain simulation, automatic code generation, and test and verification of embedded systems. 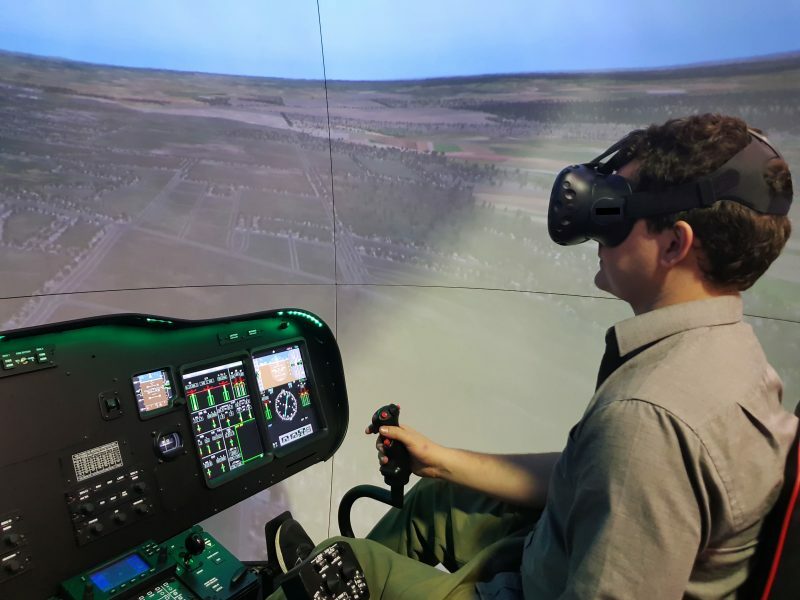 This device can be used in both Engineering Design, Flight Training, Driver Training and more recently Virtual Realisty scenarios. 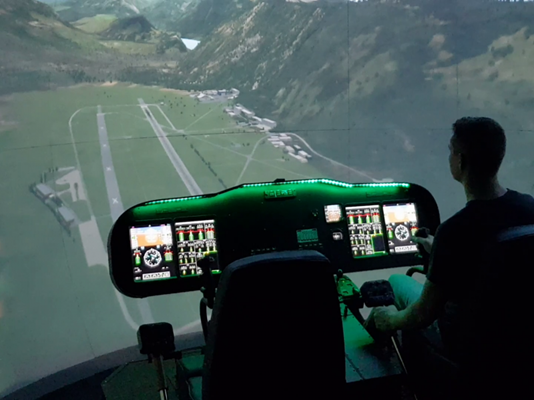 We are currently working on militaryu adaptations for this device to simulate fighter aircraft including F16, F18, BAE Hawk, AV8B Harrier and other types of aircraft. Also, we are currently developing a Helicopter version. Please contact us for further details. A very affordable option helping to spread restricted budgets stretch giving full value for money. To enquire about this product, please get in touch. There are so many benefits of including VR into your departments. When space is a prime, you can use the latest VR headsets to minimise the footprints needed for your test platforms and workstations. 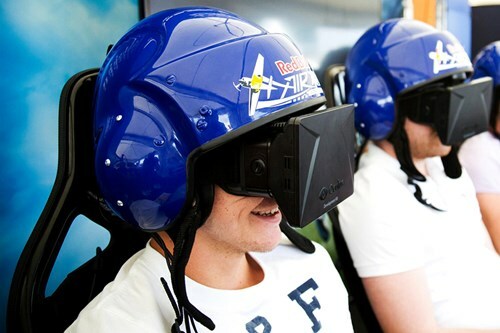 A VR headset in conjunction with one of our simulation seats negates the need for expensive external visuals and provide a cost effective solution for your College or University department. 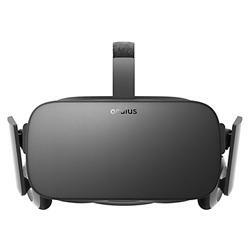 Seeing is believing, so step into the Rift with Oculus and experience the action up close. 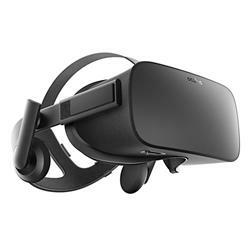 Using advanced display technology combined with its precise, low-latency constellation tracking system to create the sensation of presence for a spectacular virtual-reality session in the comfort of your living room. Available software to create an entirely new perspective for a totally immersive session. This is not just for gaming, but is becomming more prevalent in educational departments adding a new dimension to your courses. 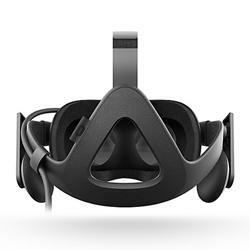 Rift is unlike anything youve ever experienced. Whether youre stepping into your favourite game, watching an immersive VR movie, jumping to a destination on the other side of the world, or just spending time with friends in VR, youll feel like youre really there. 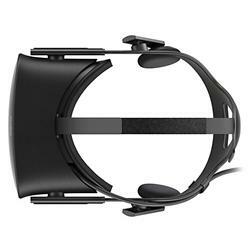 Rifts advanced display technology combined with its precise, low-latency constellation tracking system to create the sensation of presence  the feeling as though youre actually there. Customisable, comfortable, adaptable, and beautiful, Rift is technology and design as remarkable as the experiences it enables. 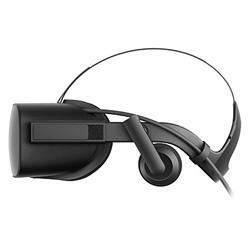 Rift has been designed from the inside out, and it shows. Beneath its fabric finish lies a tightly integrated set of systems that work together to transport you to new places. Featuring an integrated VR audio system designed specifically to make you feel as though youre truly somewhere else  giving you a sense of space and depth. The audio arms are removable, so you can use your own headphones too. 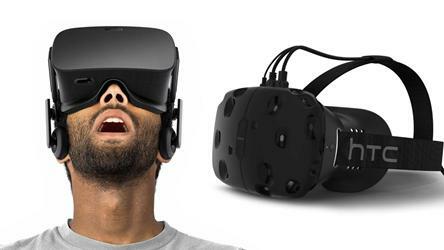 The integrated sensor tracks constellations of IR LEDs to translate your movements into VR. Place the sensor in front of you and youre all set. Its stand is ideal for most setups and its standard 1/4 20 mount works with most tripods. The constellation tracking system is designed to track you whether youre sitting down or standing up. The adjustment straps help you get a perfect fit and the sliding bars cantilever weight to minimise pressure. New For 2019 - Finance Available to Universities, Colleges & Schools! 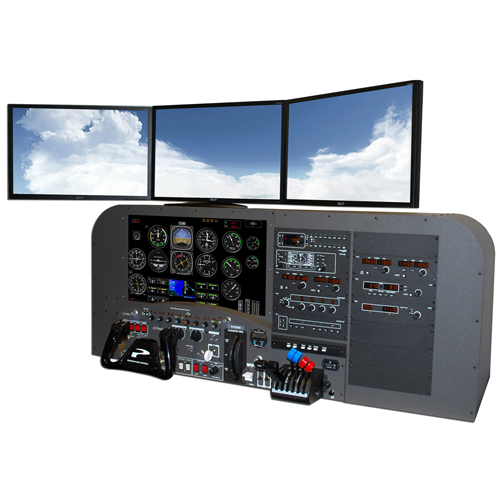 We offer a range of Cessna C172 Simulators which can replicate your standard training aircraft. 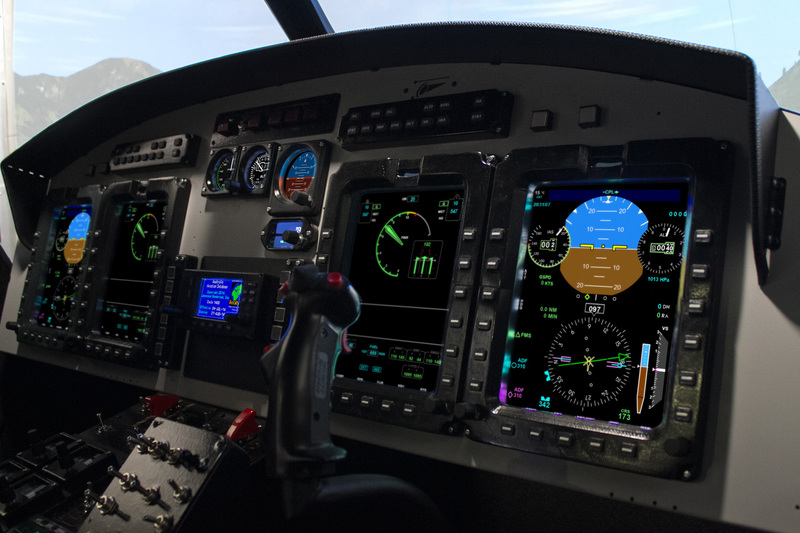 Standard Analog Instrumentation or G1000 Glass Cockpit solutions available. 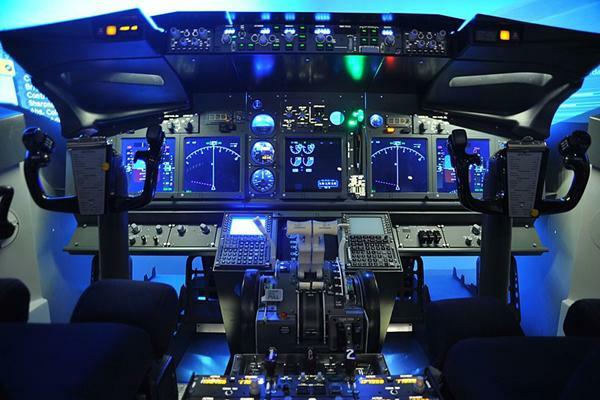 A very good way to enhance your University or College and atract the most ambitious and affluent students who choose to study Aerospace, Aeronautical and Pilot Study degree courses. Visual solutions offer the choice of 2m, 3m & 3.5m Cylindrical Projection Screens including our optional horseshoe extensions to allow viewing outside of the Pilot and Co-Pilot windows or alternatively Single Channel or Dual Channel Dome.. Contact us for further details about our products or finance packages.